The original five X-Men are brought forward in time to find their mutant dreams of peaceful co-existence have never been further away. 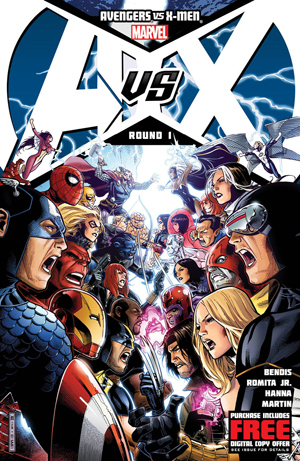 Avengers Vs. X-Men was a major event in the Marvel universe. 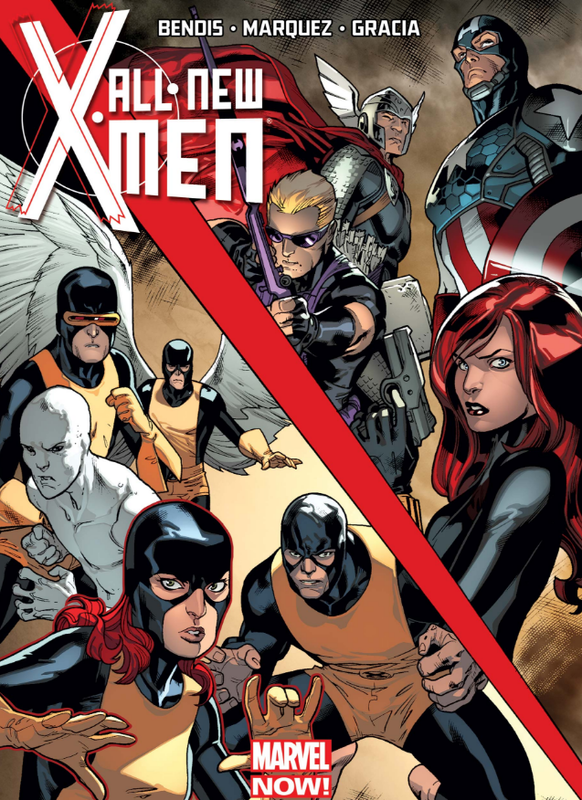 It finally reversed the Scarlet Witch’s “No More Mutants” decree back in 2005’s House of M, turned Cyclops and a few of the more grey-area X-Men into hidden revolutionaries, and led some of the more pro-active X-Men into joining forces with the Avengers. AvX also transitioned veteran Marvel scribe and architect of the modern Marvel universe Brian Michael Bendis from Avengers books into X-Men. Specifically, a new flagship series called All-New X-Men. Legion has swiftly become one of this year’s biggest surprises on television. Its debut season has built a compelling ensemble cast of mutants centered around troubled telepath David Haller, known as Legion in the Marvel comics. While the main plot began with David on the run from mutant-hunting agency Division Three, the real Big Bad was allowed a much more gradual and sinister reveal. Last week’s episode provided a surprising name drop and firm reveal: the grotesque figure seen hovering near the periphery of David’s mind’s eye is the Shadow King, a powerful X-Men villain, and he has his sights set on David. With Marvel’s popular and successful foray into films with the Marvel Cinematic Universe, I’ve finally decided to get back into comics. I grew up a big fan of X-Men and other superheroes but haven’t really kept up since the 90s. Thus begins my grand catching-up of the last ten years of Marvel comics, events and stories. Thanks in large part to trade paperbacks and the digital convenience of Marvel Unlimited I can make relatively quick progress, and I’ll write down my Final Thoughts for each collection here on my blog. Like my gaming Final Thoughts, this will be full of spoilers. You’ve been warned! Avengers Vs. X-Men was a massive event. Most Marvel events are big, but they tend to balance smaller events with a few tie-ins with larger, world-spanning events that completely take over all the comics. AvX was definitely the latter in 2012. It’s also very gimmicky, and staged almost like an empty-headed Summer blockbuster. Even the title doesn’t exactly evoke a lot of mystery. Yet it gradually evolves from a vapid smackdown into a dramatic story that deconstructs Cyclops’ recent worldviews and mutants’ place in the world. There are dozens of solid story lines and characters that FOX could have spun out of the X-Men franchise for an ongoing TV series. They chose Legion, which airs tomorrow, Feb 8, on FX. Legion is an odd, but bold choice. At best, he’s a tragic, multi-layered former supervillain with incredible powers. At worst, he’s yet another figure that demonizes those with mental illness. But either way, Legion is not a very well-known character, particularly if you haven’t been keeping up with Marvel comics in the last decade. We’re here to help. 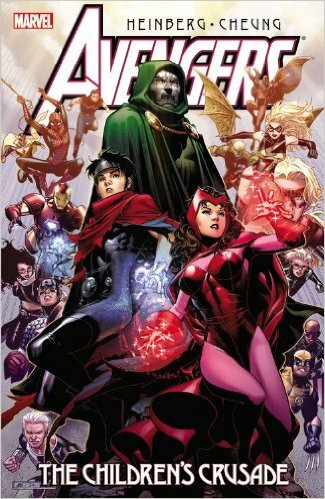 The Young Avengers go on a hunt to find the Scarlet Witch, who hadn’t been seen since the devastating events of Avengers: Disassembled and House of M.
Avengers: Disassembled in 2004, followed by House of M in ’05, kicked off the modern Marvel era of story-telling. Big events, major character deaths (which were never permanent but hey), and years-long fallout and regime changes became the norm. I dig it quite a bit, despite lots of missteps. But Avengers: The Children’s Crusade represents a lot of what annoys me with Marvel comics – time-travel, retcons, and do-overs that let them “fix” any formerly awesome scenes and situations that had years-long revelations. In this case, the sobering saga of the Scarlet Witch. I’ll give credit to Marvel for at least not doing this story like a year or two after House of M. Instead we were treated to a whirlwind of cascading events, and the Scarlet Witch was mostly forgotten about, though her “No More Mutants” legacy forever altered the X-Men. Hope Summers, the Mutant Messiah, leads a team of the first generation of new mutants since M-Day. Hope Summers, AKA the Mutant Messiah, had been the focal point of the X-Men saga for years. The first new mutant born since M-Day was first shown in X-Men: Messiah Complex. She was then raised by Cable by jumping through time in Cable (2008), and finally returned to our world in X-Men: Second Coming. You don’t necessarily need to read all that to understand Generation Hope, but it certainly helps. After Second Coming, Hope officially joins the X-Men. Well, sort of. She’s a badass future-soldier in her own right, and her fellow mutants both love and fear her. She’s also a young woman who had just lost her the only person she cared about. So Cyclops lets her build her own team after they discover her purpose – saving and recruiting newly awakened mutants. These new teenage mutants, the first five of which are dubbed “the Five Lights,” manifest their mutations in violent, dangerous ways. Hope’s touch works as a magical cure that calms them. She is both the spark for mutation and its salve. 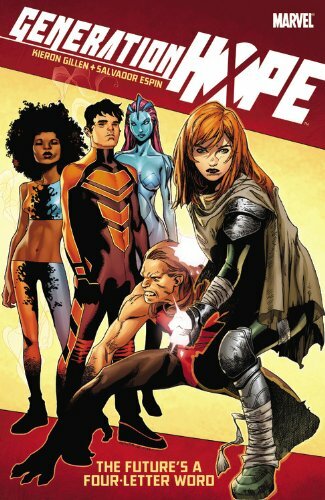 Hope is sent to save and recruit them during Uncanny X-Men #526-529, which should definitely be required reading for Generation Hope (for that matter, the following story in Uncanny X-Men with Emma Frost and Sebastian Shaw is also referenced heavily in a later story in Generation Hope). 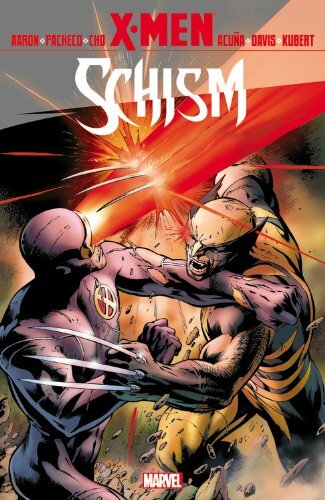 Enter X-Men: Schism, the much touted Cyclops vs Wolverine fight that splits up the extended X-Men family. The X-Men have been united for quite awhile following the big events of X-Men: Messiah Complex and Second Coming. Cyclops had successfully united the 200 or so remaining mutants, providing a (relatively) safe mutant haven in an island off the coast of San Francisco. An island that used to be Magneto’s Asteroid M, who now serves as an old war general and confidant. The times they are a-changin’. So in 2011 Marvel decided they needed to break up the X-Men. I can definitely see the reasoning. There’s always been a ton of mutants, and teams are usually split up based on where they are and what they’re doing. But with everyone in Utopia it gets super weird having multiple X-Men comics with different teams, for no real reason other than sales.